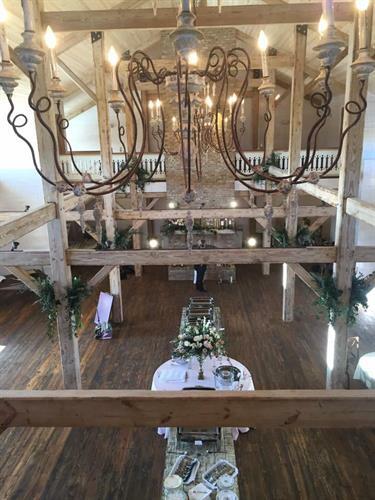 The White Magnolia is a one of a kind, elegant country venue situated on a family owned, well-manicured, 110 acre working Quarter horse and commercial cattle farm. 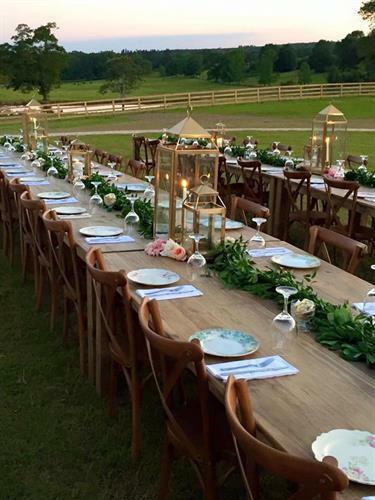 Located in Kentwood, Louisiana, just 30 minutes from both Hammond, Louisiana and McComb, Mississippi, The White Magnolia is a mix of vintage charm, Rustic elements, and southern style. 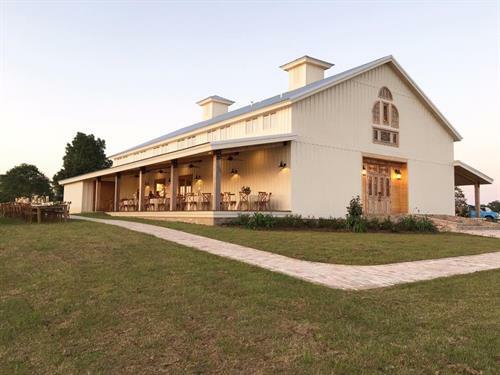 Nestled among beautiful landscaping, the barn sits atop a hill which provides views of magnolia trees, open pasture, rolling hills, grazing cattle, oak trees and beautiful ponds. 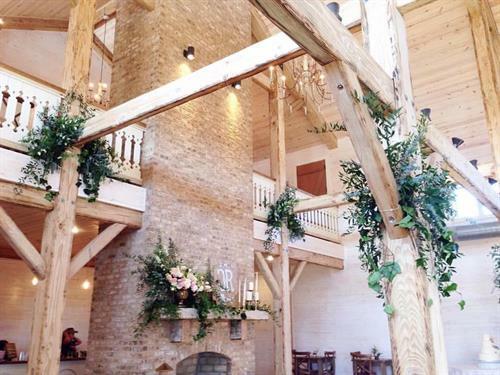 The barn is constructed with huge pine post and beams, cut from the family's sawmill and aged to perfection. The white washed walls, 30 foot vaulted ceilings, and vintage chandeliers create the perfect canvas for the wedding of your dreams. 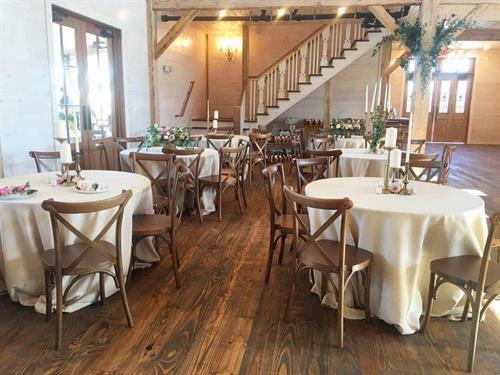 The beautiful pine flooring is perfect for your walk down the aisle or for dancing the night away. The White Magnolia features a beautiful old brick fireplace that continues through the thirty foot vaulted ceiling. 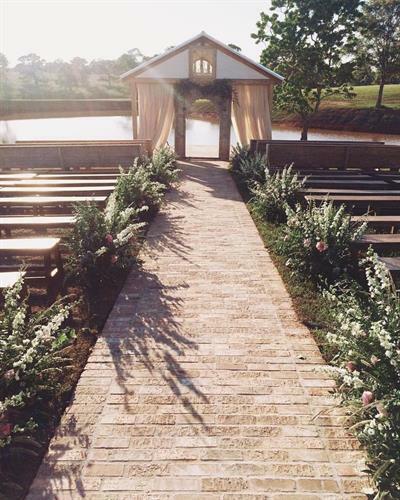 This makes a magnificent backdrop for your ceremony or the centerpiece for your reception. Leave the French doors down each side open to the beautiful outdoor scenery while enjoying the comfort of an indoor affair.